Bay Maples is locally owned, award winning landscape design/build company that focuses on saving water and building sustainable landscape with an emphasis on permaculture. Our employees work hard and when the job is done, we love to have fun and relax. We’re always looking for dedicated and motivated individuals to join our team and help us make the world a better place one project at a time. Crew Member: We are seeking hard working, reliable individuals to join our installation team. Driver license required. Duties include preparing installation site, operating power tools, material hauling and installing plants, irrigation, hardscape, stone, mulch and other landscape materials. Training provided by employer, but experience is helpful. Landscape Designer: We specialize in sustainable, water wise gardens, emphasizing the use of local and repurposed materials. Must be familiar with California natives, edibles, drought tolerant plants. Knowledge of garden installation techniques and basic construction knowledge is highly recommended. Please send resume, description of yourself and some examples of your work. Fine Gardener: Our company builds healthy ecosystems by utilizing Bay Friendly and Green Gardener practices which reduce pollution, waste and noise while promoting soil health, habitat & beauty. 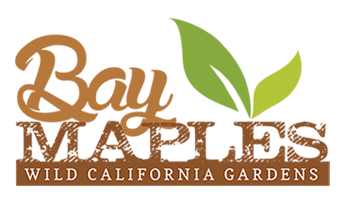 Job will primarily include caring for California native, drought tolerant and edible gardens. We are looking for someone who is hard working, punctual and takes pride in their work. Interested candidates must send resume. Hardscape Specialist: Must be comfortable with dry setting and mortar installation techniques. Experience and knowledge of flagstone, brick, concrete, pavers, urbanite and other forms of hardscape required. Ideal candidate has 3+ years experience in masonry. Office Secretary: This job will require strong organizational and communication skills. Candidates must have the ability to assess and conquer daily tasks and see them through to completion. Must be self-starter and work independently with extreme attention to detail. Interested candidates must send resume.